This two-story, cross-gabled, frame California-style Craftsman bungalow features an aeroplane dormer, Japanese and Swiss-chalet elements, heavy open beams, battered brickwork motifs, and natural materials, color, and textures. The Foglemans purchased the plans and exterior mill work, windows, and doors for Harris Homes Beautiful Model No. 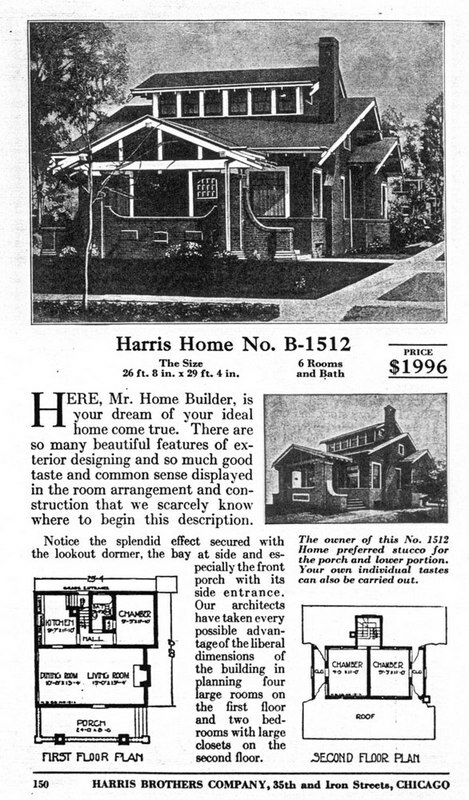 B-1512 from the Harris Brothers Company of Chicago, Illinois, one of many mail-order companies producing ready-cut homes and house plans during this period. A number of additions have been constructed on the rear over the years, and a substantial rehabilitation was completed in 1994. Private residence. E.L. and Ruth Fogleman House, 2009: Image by Michael Zirkle Photography, copyright Raleigh Historic Development Commission. E.L. and Ruth Fogleman House, 1920 plan: Courtesy of "A Plan Book of Harris Homes," Harris Brothers Company, 1920. 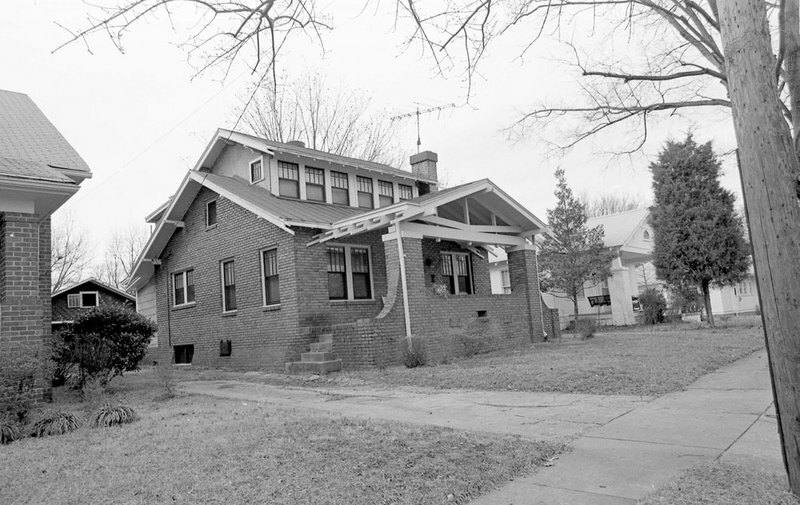 E.L. and Ruth Fogleman House, 1976: Image courtesy of the North Carolina State Archives. 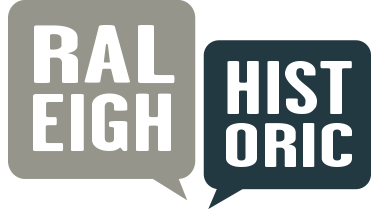 RHDC, “E.L. 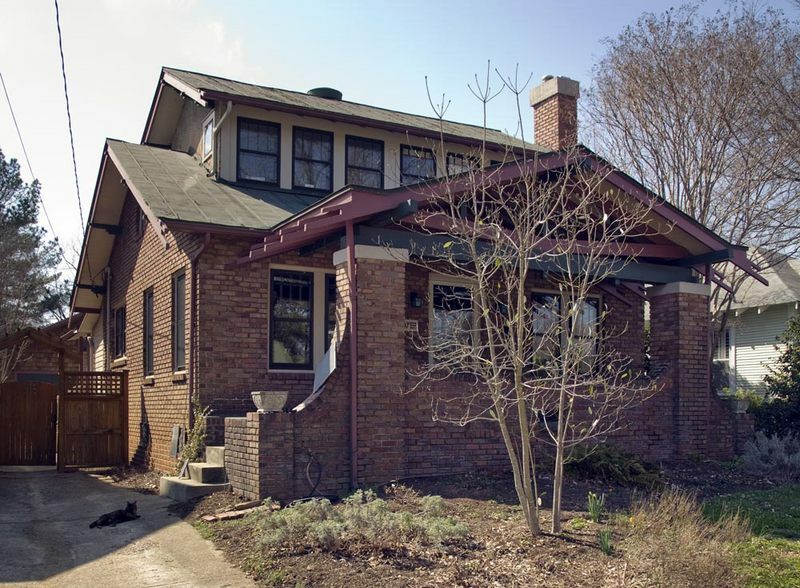 and Ruth Fogleman House,” Raleigh Historic, accessed April 22, 2019, https://raleighhistoric.org/items/show/118.